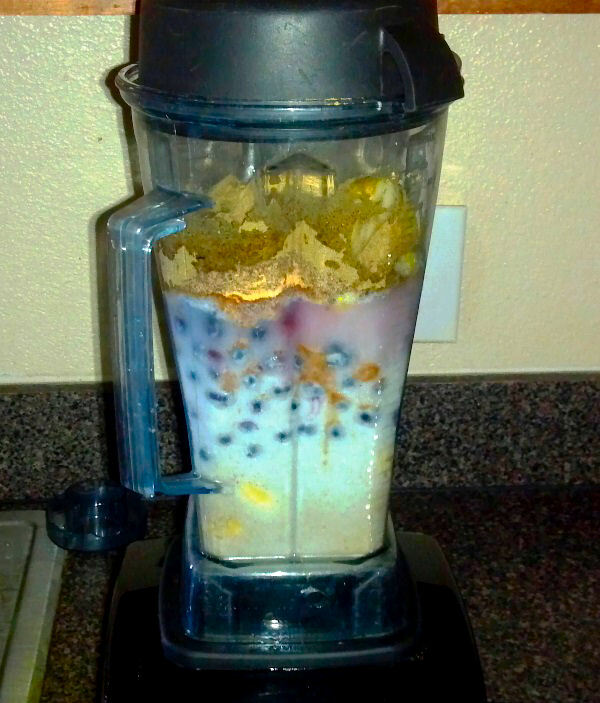 Ready for a berrrrrrry delicious natural protein smoothie? This smoothie is made with my very own coconut hemp milk, hemp protein powder, and mixed with a ton of delightful fruits! First, we will make my very own coconut hempseed milk. For this you use 1 part hempseeds to 3 parts coconut water. Put 1/3 cup hempseeds into your blender, and add 3 cups coconut water. Blend until it is a smooth, milky consistency, and voila! We are done! No extra sweetener needed, as the coconut water does the job on its own! Yeah, that was a long list of ingredients…but look at the beautiful colors filling the blender with all that yumminess and health! 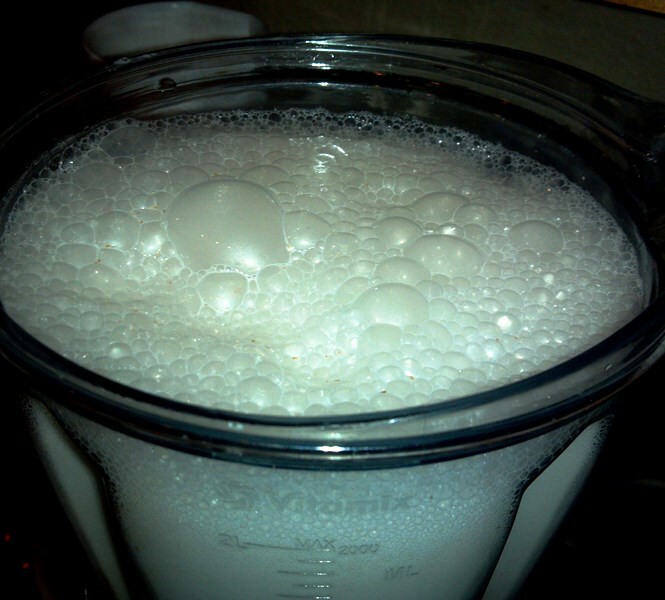 Blend the mixture until smooth and creamy, then pour into a glass. 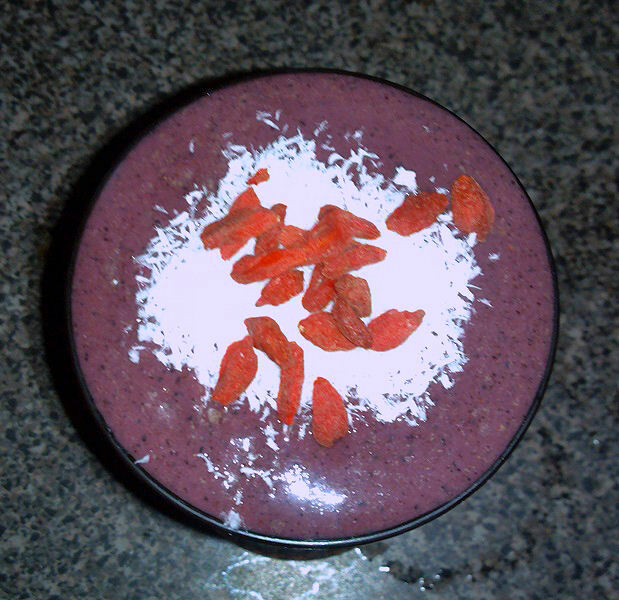 Top with shredded coconut and gogi berries, and drink up! 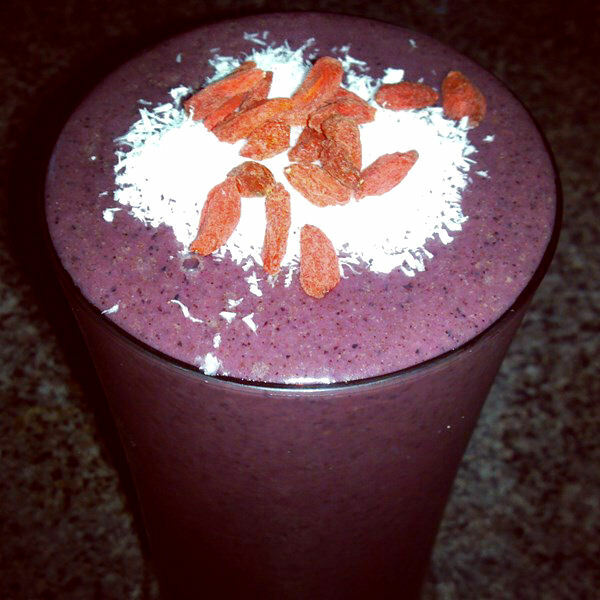 This smoothie is perfect for a midday snack, meal, pre or post workout shake! Enjoy!